Born Leonidas Frank Chaney on the 1st of April 1883, Lon Chaney is widely regarded as one of the greatest actors of the silent movie era, and a true trailblazer in the field of film make-up. Chaney was born in Colorado Springs, Colorado, to deaf-mute parents Frank H Chaney and Emma Alice Kennedy. As a result of growing up in a non-hearing household, the young Chaney quickly developed a talent for pantomime and communication through facial expression; these formative experiences also gave him an empathy for and understanding of the “other” in society. His affinity with the outsider would later be hailed as a key element in his skill as a performer. Embarking upon a stage career in 1902, Chaney toured with Vaudeville and theatre troupes, running a business with his brother John for a time. In 1905 he met 16-year-old Frances Cleveland “Cleva” Creighton in Oklahoma City; the couple were married a short time later and following the birth of their son Creighton Tull Chaney (later to become known as Lon Chaney Jr), the couple settled in California, where Lon became a stage manager, choreographer and actor, while Cleva became a popular cabaret singer. Sadly, cracks began to show in the marriage, as financial strains and jealousies took their toll both on Lon and Cleva. Matters came to a head in April 1913 when Cleva entered her husband’s workplace, the Majestic Theater in Los Angeles where he was managing the Kolb and Dill show, and swallowed a vial of mercuric chloride in an attempt to take her own life. Although her suicide bid was unsuccessful, her vocal chords were damaged and her singing career over; the resultant scandal and divorce forced Lon Chaney to quit the world of theatre and find a new career in the movies. 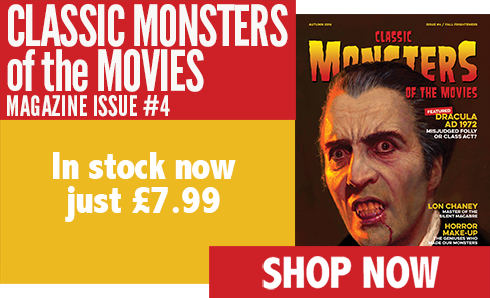 It was a move brought about by necessity, but one which changed the world of horror films forever. During the early years of his movie career, Chaney took on a wide variety of bit part and character roles, using his expertise with make-up to gain an advantage over his rivals in the competitive casting arena, and gain more experience in front of the camera. He became friends with the husband-and-wife directorial team of Joe De Grasse and Ida May Park, who encouraged his emerging propensity for playing macabre yet human characters, as well as providing him with plenty of work. In 1915 Chaney married Hazel Hastings, a chorus girl from the Kolb and Dill tour; their marriage meant that they gained custody of Chaney’s 10-year-old son Creighton, who had lived in boarding schools and homes since Chaney’s divorce from Cleva Creighton in 1913. Chaney’s second marriage was a low-key one; he and Hastings were protective of their private life and shunned the Hollywood social scene. 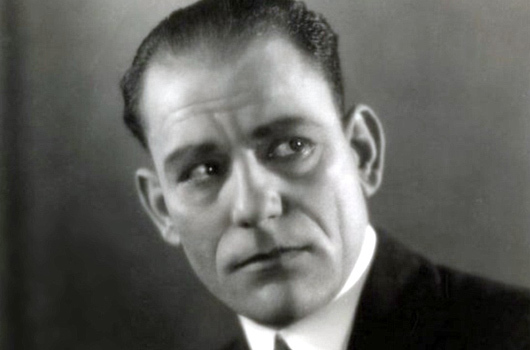 Lon Chaney left Universal Studios after being refused a pay rise in 1917, but his skills as a character actor were recognised after his performance in Riddle Gawne (1918). His profile was raised to new heights by his portrayal of conman “The Frog” in the George Loane Tucker film The Miracle Man (1919), a role which not only showcased his acting ability, but also his skill as a make-up artist. Indeed, his prowess in the field of make-up and general disguise for the sake of his art was unexpectedly evident in more conventional adventure or crime movies such as 1920’s The Penalty, in which his legs were bound tightly behind him for the role of an amputee gangster – a process which cut the blood circulation to the trussed limbs. One of Chaney’s most famous horror roles is, ironically, the one which remains unseen by most: his portrayal of Inspector Burke in the lost film London After Midnight (1927) is no longer available as no known copies of the film remain. 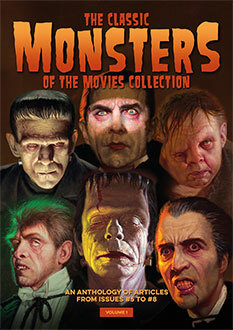 Nonetheless, his depiction of the faux vampire is another of his iconic make-up creations. A willingness to endure physical suffering for the benefit of his work is a common theme in Lon Chaney’s résumé. For his role as Quasimodo in The Hunchback of Notre Dame (1923), he constructed a 50-pound hump so as to be genuinely encumbered. In order to remain authentic to the source material, his right eye was obscured with heavy make-up, the result of which was that he was left severely short-sighted for the rest of his life. Arguably the most recognisable of Lon Chaney’s characters – if the quality of his work allows for the use of the word “recognisable” – is his incarnation of Erik in 1925’s The Phantom of the Opera. In a now-legendary feat of make-up artistry, he used the freedom granted him after the success of his Hunchback make-up, to design the Phantom’s cadaverous appearance. Holding his nostrils open with wire (reports indicate that his nose frequently bled during filming), wearing jagged false teeth, and adding layers of collodion to his face, Chaney created the terrifying image of the Phantom which is now synonymous with his talents. Chaney was the penultimate major Hollywood performer to make a talkie film, the last star being Charlie Chaplin. His only sound role was in his last film, MGM’s 1930 sound remake of The Unholy Three (originally released in 1925, one of many collaborations between Chaney and Tod Browning), and served as a surprising showcase for his vocal talents. Chaney was a talented singer with excellent comedic timing, and such was the quality of his work in The Unholy Three that he signed a legal statement confirming that he had provided five of the key voices in the film. From the quality of his performance, it was clear that the Man of the Thousand Faces would surely have become the Man of a Thousand Voices too. Chaney became ill with pneumonia in the winter of 1929 while filming Thunder (also released in 1929). Later that year, he was diagnosed with bronchial lung cancer which was aggravated by the presence of artificial snow lodging in his throat during filming. Treatment proved ineffective and Chaney died of a throat haemorrhage on the 26th of August, 1930. Tod Browning had originally intended to cast him in the title role in Dracula (1931) but Chaney’s premature passing meant the role went to Bela Lugosi instead. Lon Chaney was interred beside the crypt of his father at Forest Lawn Memorial Park Cemetery in Glendale, California. Upon her death in 1933, his wife Hazel was buried at the same location. Lon Chaney’s legacy to the film industry is an immense and deeply-felt one. 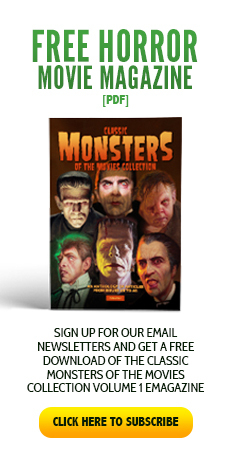 His skill as a performer and make-up artist have given the world some of the most iconic depictions of horror characters, and in his son, Lon Chaney Jr, a new generation of classic monsters was born.